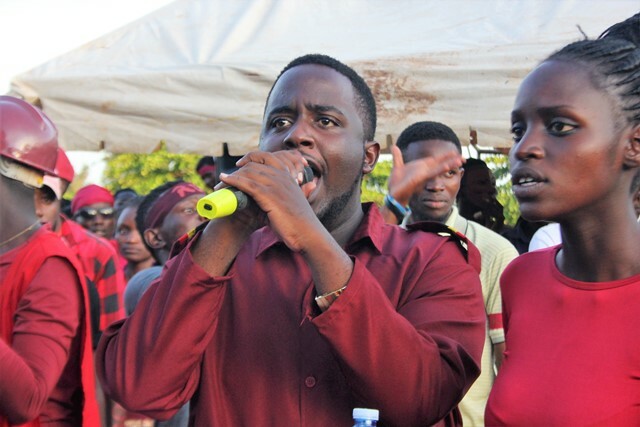 Tusingwire Romulus, a Makerere University Business School Student who contested as an independent candidate has emerged winner of the university’s guild race. Tusingwire beat his closest competitor Shenmark Mwesiga (UYD/People Power) with a gap of over 2000 votes during yesterday’s election. Tusingwire gathered 3404 votes, Mwesiga followed with 1370, FDC’s Wisdom Ndinumukiza got 919 and Aine Sabiiti Douglas (NRM) lost with 53 votes. Despite having the support of Ntende Julius, the outgoing guild president and fellow UYD member, Mwesiga still lost to the independent candidate with a huge vote margin. Jubilations were all over the Nakawa-based campus last night as Tusingwire’s fans took to the streets to show off what they have been talking about in the recently concluded polls. Rocking maroon attires, Tusingwire’s fans screamed on top of their voices last night, our snoops say. The four candidates had weeks of intense campaigns and yesterday’s election saw Tusingwire become the school’s next Guild President for the year 2019/2020. It should be recalled that UYD has been ruling MUBS for many years but this time things went sideways. This is another people power loss following Gulu University’s polls that saw put FDC in power.